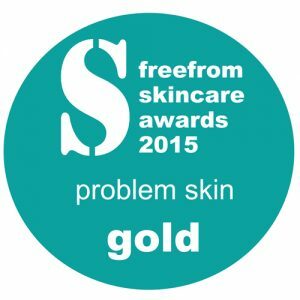 Why Are Customers Calling us “The Natural Skin Care Company”? 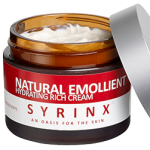 Syrinxza natural skin care range uses a unique ingredient Sapropel, which is a nutrient rich mud. Sapropel is a dermatological and geological phenomenon! 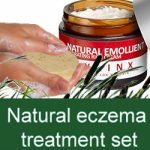 A sediment found in a handful of lakes across North Eastern Europe that has been used for centuries as a natural skincare treatment. Sapropel’s uniqueness lies in its ability to remove toxins and metals from the skin, drawing out impurities before restoring the skin’s natural moisture. It’s a different approach that sets our products apart from traditional remedies that work by sealing chemicals into the skin. Sapropel is full of natural vitamins and minerals, which are well known to help boost the body’s own immune system, enhance the skins natural tone, and create radiance and vitality. Our skin is the largest organ in the body and first line of defense against the stresses of day-to-day life. We are constantly exposing our skin to pollutants from air and water. 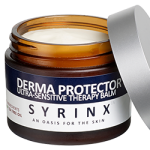 Syrinxza products can ensure we give the best natural care to our skin, further enabling its ability to protect us. neutralising acids…capturing toxins…exfoliating…hydrating…creating a natural paraben-free alternative to traditional skin care. 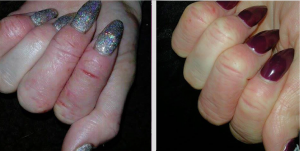 Before using Syrinxza Emollient cream this customer had hand eczema and very sore dry hands. After her skin is healthy and smooth. 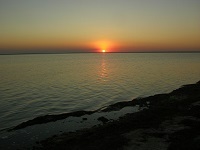 Sapropel lifts impurities from the skin and keeps them at bay. Metals and toxins can aggravate the acid-based oils on the skin’s surface. When metals and oils collide, the skin comes under attack, often stirring up skin conditions. Unfortunately, these metal deposits are a fact of modern life. For example, nickel is widely used in jewellery, watch straps and decorative metal alloys – while cadmium is a potent environmental toxin that clings to the air. That’s why Sapropel plays such an important role in keeping skin healthy. 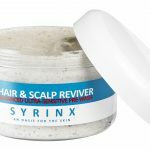 It has a unique, clinically proven ability to hook metals and toxins, and remove them with precision from deep within the skin. This process is known as chelation. Sapropel contains high levels of fulvic substances, with hooks known as ‘ligands’. Each hook acts like a lobster’s claw (or chela), pinching the charged metal atoms and drawing them to the surface of the skin. This phenomenon happens instantaneously, the moment the Sapropel particles come into contact with any metals in the range of pH 1–9. So in practical terms, Sapropel can remove traces of zinc, nickel, copper, iron, lead, cadmium, mercury, aluminum and chromium, leaving the skin free to live and breathe naturally. Free From Artificial colourings, fragrances, alcohol, petroleum, lanolin, hormones, steroids and parabens. Free from animal testing and animal ingredients, suitable for vegetarians. Made from natural elements, with all ingredients ethically sourced. 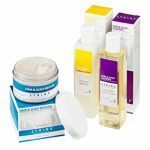 We have a range of natural skin care products available to buy online. 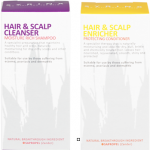 All our products are manufactured in the UK and include our unique ingredient sapropel. All orders are shipped within 24 hours Monday to Friday. We ship globally 1st class by royal mail. 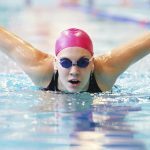 What Evidence is there to Support the Claims about the Effectiveness of Sapropel in Chelation and Moisturising ? As a company we have undertaken clinical testing during extensive university trials and research projects which have demonstrated Zander’s success in the removal of heavy metals from aqueous solutions of their salts. This work was initially carried out in universities in Latvia and the Ukraine and more latterly at Bath Spa University and most recently in 2011 at Loughbrough University. As a natural ingredient it comes from pristine Lakes in North Eastern Europe and has been formed over many hundreds of years. All our products and ingredients have undertaken strict independent Cosmetic Safety Assessments, which are required under European Cosmetic Law. 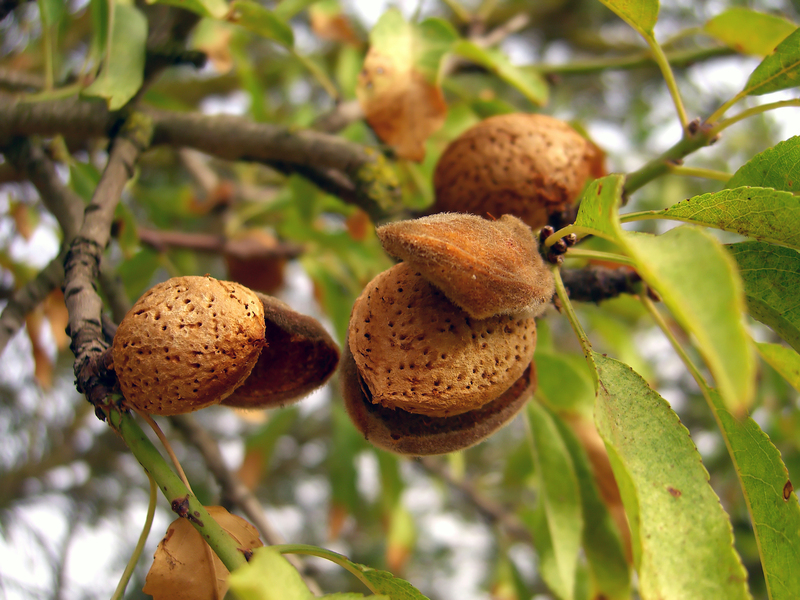 It is claimed that Sapropel contains a Rich Source of Goodness, but What Exactly? Vitamins: including D, E, C, B and B12 complexes- 55-3500 mg/kg. What Evidence is there that Sapropel Helps & Reduces many Symptoms ? Acidity (eg lactic acid, associated with digestion of dairy products). Sapropel contains free lime and this is sufficient to neutralise acids. Atmospheric pollutants, eg nickel and other heavy metals, complex organics, Aspergillus spores etc: Extensive trials have been carried out on sapropel, which have demonstrated that sapropel will chelate heavy metals and act as a microfine filter for the capture of organic compounds. This unique deep cleansing property enables troubled skin to heal. What Other Ingredients are Used and Why are they Helpful to the Skin? Adds hardness and durability to the therapy bar. 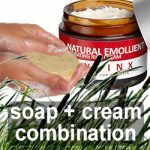 Maintains soap hardness and imparts a texture that makes the product very special. We often get asked if our products are suitable for babies and children. We only recommend the emollient cream for babies and children under 3 years. However as with all products please test the product on a small area of skin first as a baby’s skin is very sensitive. Please also check the ingredients for the product to ensure it is suitable. All other products are suitable for over 3 years, but always check the ingredients and do a skin test, avoid the eyes, and if you get any in the eyes please wash out with tap water immediately. Please note we are no doctors and do not give medical information on skin issues and we recommend you seek medical advice. 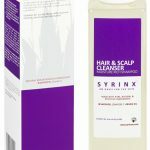 Syrinxza products are for nourishing the skin, please see customer testimonials for the results customers have achieved. 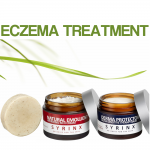 We welcome questions about Syrinx ZA products and general skin health and skin care. All private questions are treated confidentially. Simply contact us and we will get back to you as quickly as possible.